What if I forget to sign in at the shelter? Most pages of our website have links to sign in. You can do it from home later that day. Do I need to sign in every time I volunteer? Yes. The board uses this information to determine the number of volunteers who are at the shelter on a daily basis as well as the number of volunteer hours it takes to run the shelter programs. If you work several shifts, you only need to put your total in for the day, not each shift. For example, if you walk dogs from 7:30-8:30am and again from 3 - 5 pm, you only need to do one entry of 3 hours as dog walking that day. Do I need to go back and input the hours I worked in the past? No. We're only moving forward. Start recording your time the next time you volunteer. What if I do several jobs that day? Our system will only allow you to choose one activity each time you sign in. If you are planning on several activities during the day, sign in for the one where you expect to spend most of your time. Or you can sign in multiple times and assign hours to each type of activity. What if my volunteer work isn't done at the shelter? If you are at event, you can sign in on the BENCHS website from your smartphone. If you don’t have a smartphone, check in with the event coordinator for instructions. 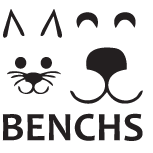 If you are working from home, sign in through the BENCHS website from your computer. No computer or smartphone? Call us at 507-625-6373 and leave a message that you have volunteer hours to report. Someone will get back to you within a few days. If your volunteer work is mainly from your home, please sign in on the BENCHS website from your computer or your smartphone. The computer is easier because we need your email address as well as your name. If you bake for the bake sales, prepare meals for Spay/Neuter Clinic staff, write for the newsletter, do volunteer driving or any other volunteer work for the shelter, please record your time. What if I don’t sign in at all? If you haven’t signed in for six months, we will assume that you are no longer interested in being a BENCHS volunteer and will be removed from our communication system. Other questions? Contact Kathy at treasurer@benchs.org. We'll post answers to your questions on this page.